Fast Loading Free Blogger Template has responsive layout design, SEO friendly template design, AdSense ready, schema coded, user friendly, inbuilt with related post widget, stylish popular post, social share icons, responsive drop-down menu-bar, simple, custom contact form, and responsive comment box. 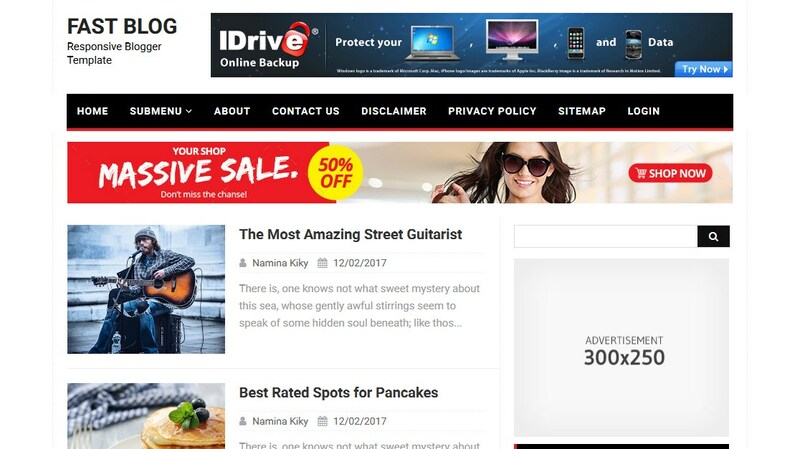 This template is suitable for all kind of blogs like the news blog, magazine blogs, photo gallery blog, video gallery blog, movies blog, personal blog etc. Hope, you will like this template.